Each user will receive their own unique invite link, which can be shared with friends or via social media, in order to start earning 30% of the companies fees for every transaction made by someone who registered using their unique link. Furthermore, receive 5% of the fees for each new referral introduced by your own referral, increasing earning potential and adding even more benefits to an already feature packed ecosystem. The fact the ecosystem supports credit and debit card transactions, as well as more than 40 cryptocurrencies means it will be even easier for you to start earning from your referrals. Disclaimer: this is an article written by EO Finance, Fintechnews does not endorse and is not responsible for or liable for any content, accuracy, quality, advertising, products or other materials on this page. Readers should do their own research before taking any actions related to the company. Fintechnews is not responsible, directly or indirectly, for any damage or loss caused or alleged to be caused by or in connection with the use of or reliance on any content, goods or services mentioned in the press release. 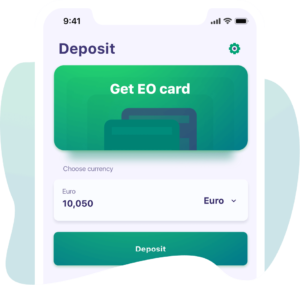 The post EO.Finance Launches Highest Paying Crypto Referral Program of 2019 appeared first on Fintech Schweiz Digital Finance News - FintechNewsCH.